This is a short review of what we have accomplished here in Ventura County since June 2014 with lots of pictures. 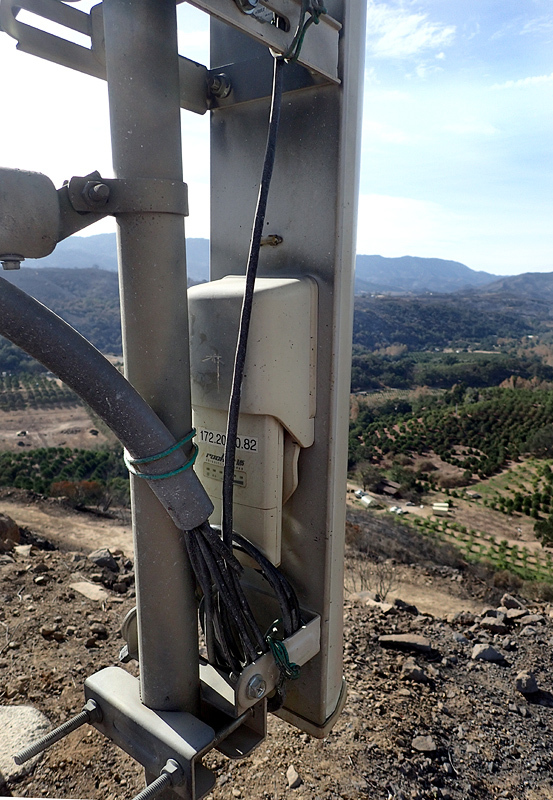 We have seen growth from a small pocket of activity in the Ojai Valley to a fantastic growth of activity throughout the county. 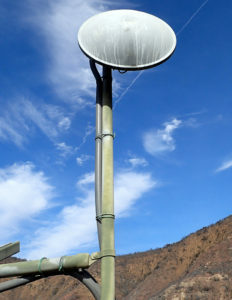 Currently we are connecting from the West to the East through a Part 15 5.8 GHz microwave backbone system that I have installed specifically to support the mesh activity. 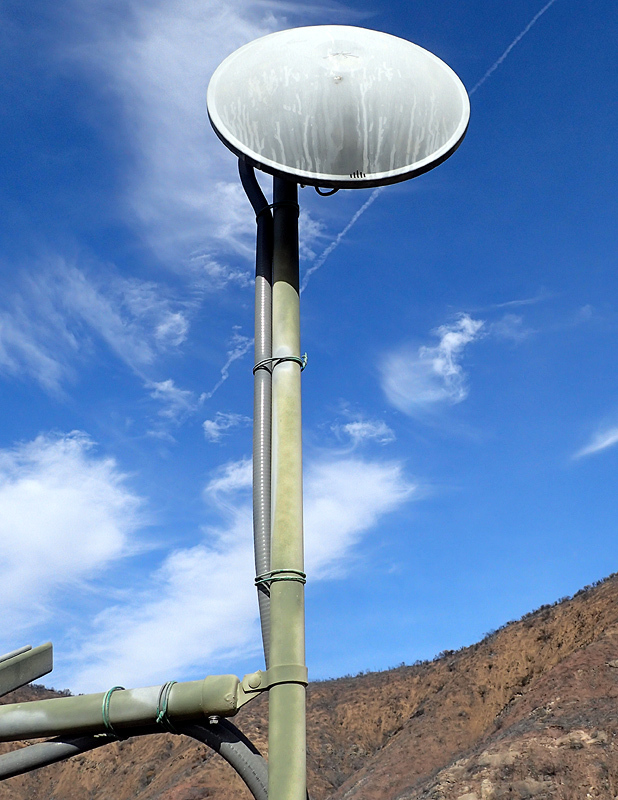 There are Part 97 high level 2.4 and 5 GHz mesh sector nodes connected to the backbone providing covering to the users throughout the County. Here’s a link to a live mesh map, showing nodes and links. Here are some of the major accomplishments geared towards MESH. 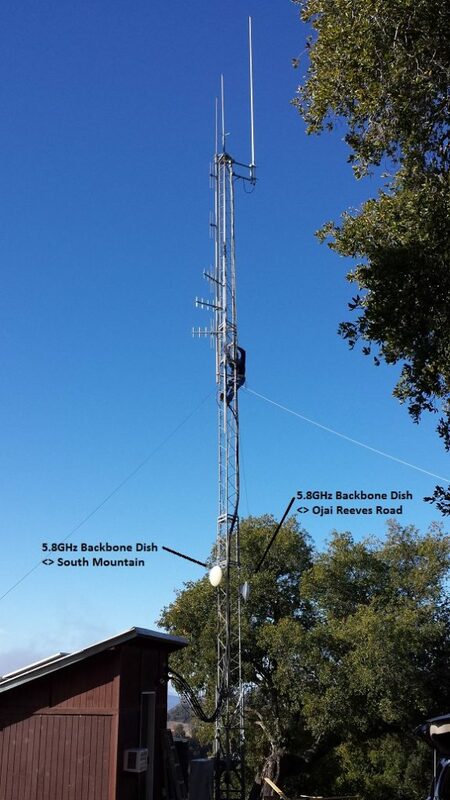 A 5.8 GHz node and dish pointing approximately at Oxnard Airport was added to the tower. 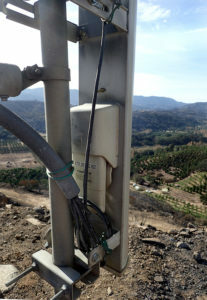 On Saturday February 21, 2015 the long awaited Solar MESH relay installation was completed in the Ojai Valley by the Ojai Valley Amateur Radio Club. 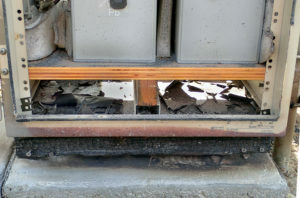 It took several months of planning and construction. We took our time and have a first class site for the MESH technology. 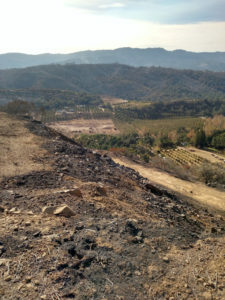 This site accommodates about 15 users and the Ojai PD, Ojai Hospital and the Ojai ARC. The Thomas Fire, the largest in Ventura County history, scorched the Ojai Valley Reeves Road site, damaging much of the equipment. 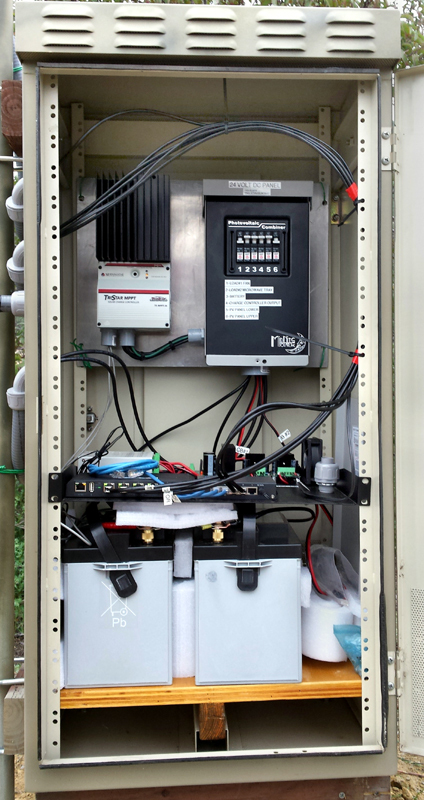 A Gofundme account has been set up and the site will soon be rebuilt, with more batteries, a camera and a weather station. This site was obtained during the Christmas holiday of 2014. 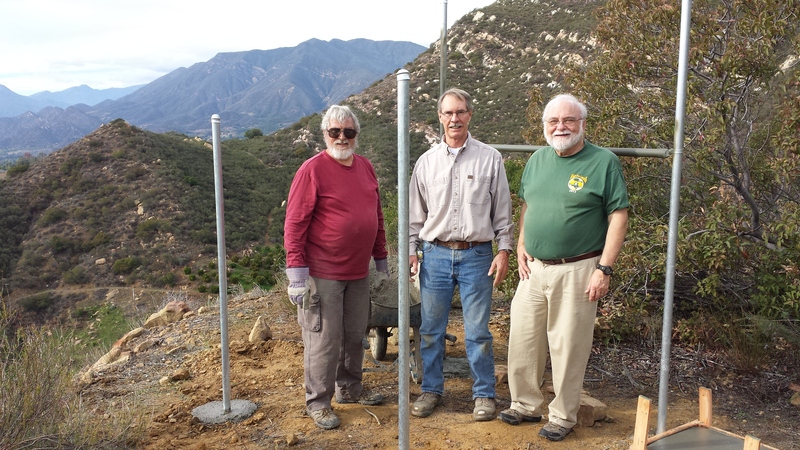 In January 2015 I had a great work crew from Simi Valley on the mountain to pour the concrete for the Tower. February the tower was setup. 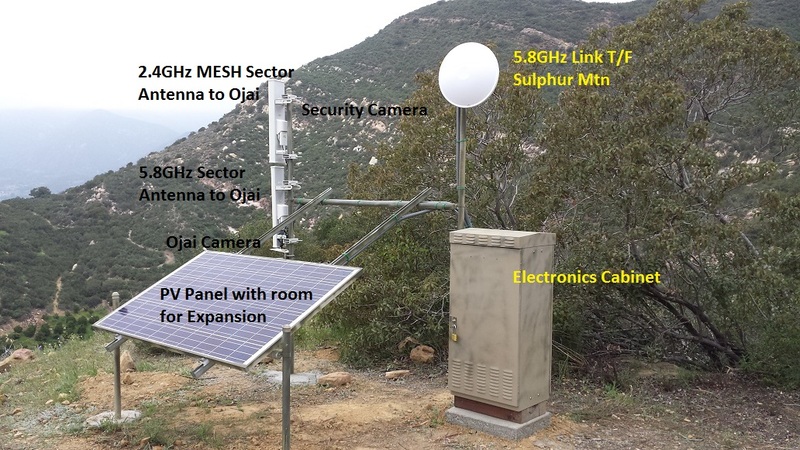 By the middle of March the following items have been installed and are operational. 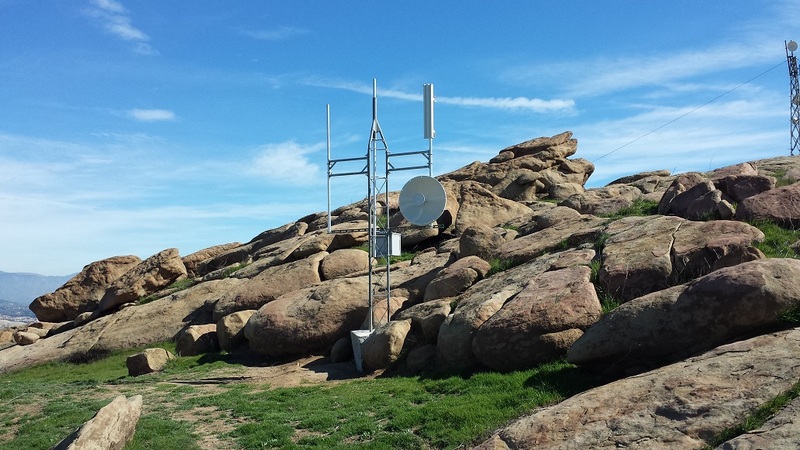 This is on the West Face of Chatsworth Peak to try to block some of the Valley RF. 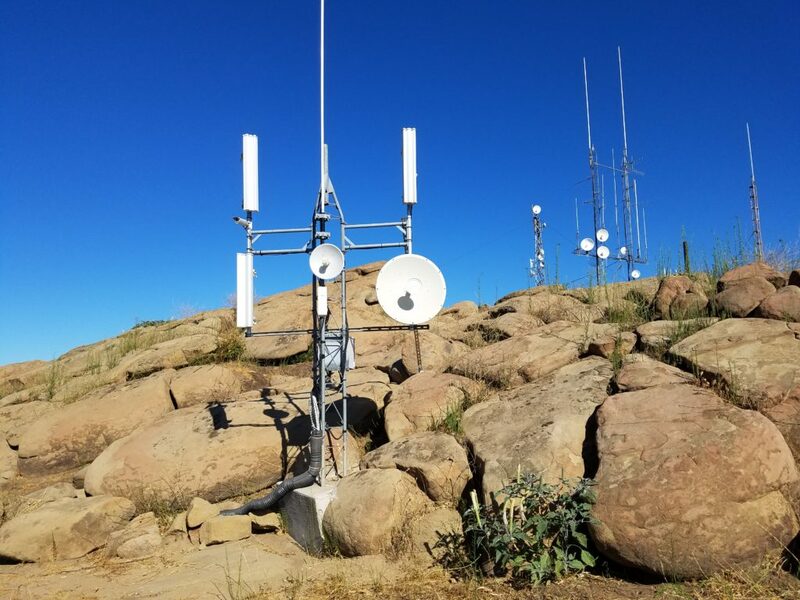 A 32 mile part-15 link to Sulphur Mtn on 5.8GHz (shown). 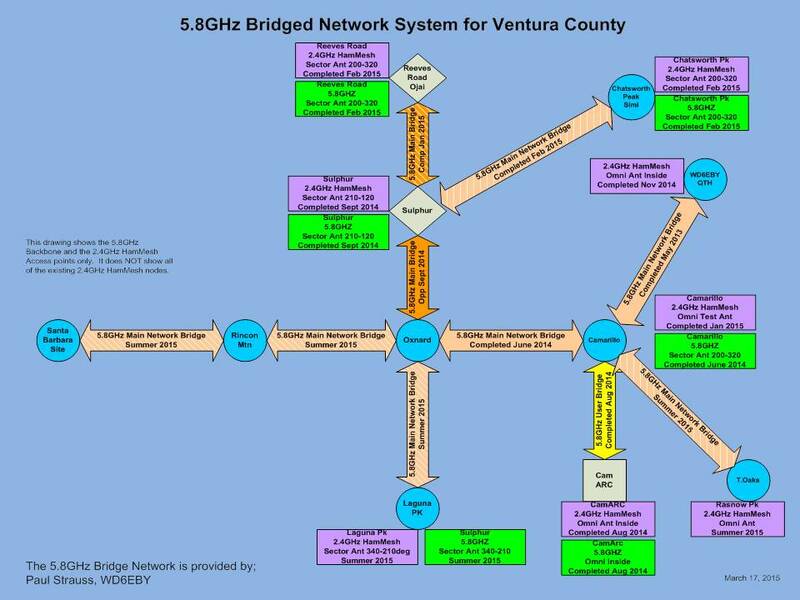 As you can see we have been focusing a lot on getting the County interconnected this past year. I will let others chime in as to that they have been doing with the MESH technology. 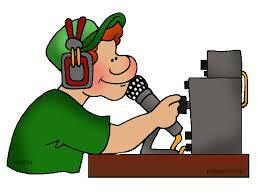 As for me, I have really enjoying this mode of Amateur Radio Communications.